An easy to use treatment for fabric and leather combination boots. A long-lasting waterproofing that conditions without softening and provides maximum waterproofing with little or no change to appearance or texture of leather or fabric footwear. 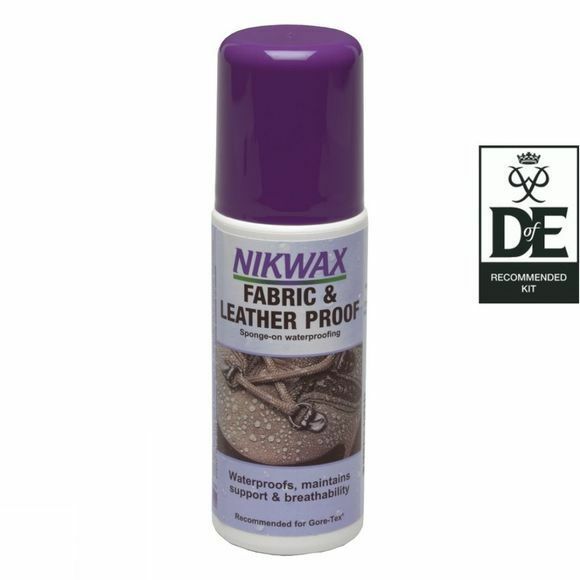 The water based Fabric & Leather treatment is safe to use on footwear with waterproof breathable lining and waterproof leathers.